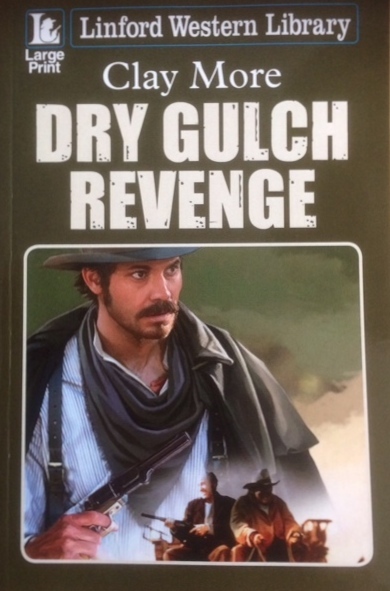 My novel Dry Gulch revenge is out on July 1, 2017 in Large Print from Linford Western Library. Hank Hawkins has the opportunity to achieve his ambition of buying a ranch. All he has to do is help a gang rob the stage in the Devil’s Bones canyons. But it turns out the bandits never intended to leave anyone alive – including him… Upon regaining consciousness, Hawkins vows to track down the murderers who betrayed him. But when he sets off, he has a companion accompanying him: Helen Curtis, the fiancee of the messenger whose death lies heavy on Hawkins’ conscience.